Meet Blacky! He came to local shelter as owner surrender and DOGzHAUS rescued him right before his time was up there! He is currently at his foster care and waiting to find his forever home. 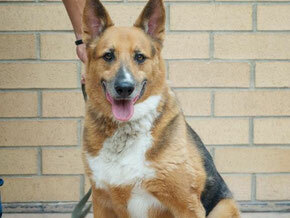 He is amazingly quiet and mellow, great with other dogs and people any age including small children. Because of his mellow personality, he prefers a quiet environment and is scared a big noise. He rarely barks. He is good on leash and walks well. He can be a perfect dog for someone, maybe you? Please help us finding his FUREVER home!! If you would like to meet Blacky, please fill out our "Adoption Application"